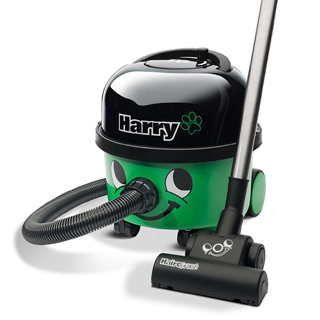 Congratulations on your decision to buy the best-selling vacuum cleaner in the UK, the Henry Vacuum! This iconic little machine has been extremely popular with both domestic and professional cleaners ever since its release over 30 years ago, for many good reasons. Think of this website as your Henry Vacuum resource. We aim to cover every topic concerning this vacuum cleaner, including a detailed product review of not only this model but all of the other machines produced by the manufacturer. We also tackle common questions and queries regarding the operation and maintenance of this machine, as well as cleaning tips and tricks. When you’re ready to start shopping for a machine from the Henry range head on over to our Shop page. You’ve probably seen one of these machines, darting around your office floor as you make your way to your desk or smiling at you from a hotel corridor, but how much do you really know about this vacuum cleaner? For many, the incredible reliability, durability and power of this machine are more than enough reasons to purchase one but if you are like us, you may wish to learn a little about the history of this brilliant machine. 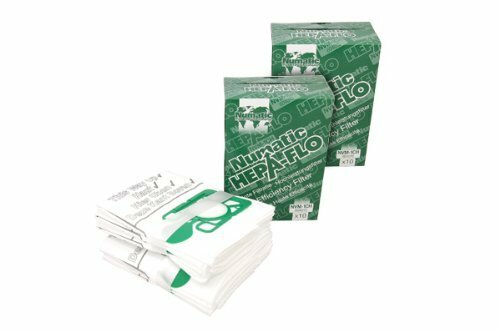 Henry is Numatic’s most popular product, with over 7 million produced since it was first introduced to the public in 1980. Built using high quality, durable materials and using powerful and efficient technology, this vacuum cleaner continues to be the top selling product in its range over 30 years later. The Henry vacuum cleaner has had an eco-friendly makeover for 2014 and can now boast statistics such as being 20% quieter with a 30% increase in air flow. Plus, the brand new ‘Autosave’ feature automatically starts you off at a power consumption of 600w, which is more than adequate for 99% of your cleaning needs. This means that you are using less power, which means you are spending less on your electricity bills and helping to save the environment at the same time. Also, don’t worry if you think you may need that extra bit of power because you can switch back to the old 1200w power supply at any time, which is perfect for the really stubborn dirt! When people think of a Henry, they instinctively think of reliability and durability. This is partly down to the powerful Twinflo motors that power this little machine. They provide a vast amount of suction power to ensure that you remove absolutely all of the dirt and dust from your floors, the first time round. The generous 9 litre capacity also means that you can use this vacuum for long periods of time before having to empty it, making it a firm favourite for commercial cleaners all over the country. Choosing a Henry means opting for the reliability of innovative Numatic technology. Henry benefits from a motor that lasts, so domestic and commercial cleaners alike never need to worry about their machine cutting out amid a cleaning frenzy! To match, the Henry model has a capacity of 9 litres – large enough to gather and carry the dust and dirt that’s collected over multiple days of household or office cleaning. 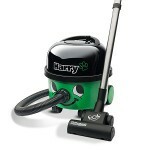 The Henry vacuum has been made what it is by its integrated technology and the range of tools included. From the 10 metre cable to the dusting brush attachment, everything that comes with a Henry purchase is included for optimal cleaning results. Unsurprisingly, Numatic have thought of everything when it comes to the ease of use and efficiency of the Henry vacuum, all the way down to their very own vacuum bag design. They suggest the use of their HepaFlo bags, which fit perfectly into the drum, helping to store the contents of the machine’s large capacity, as well as providing a quick and clean disposing process. What’s more, the Henry model is designed with the health of the machine and every cleaner’s wellness in mind. The well-designed TriTex filtration system works to eliminate blockages within the machine and obstructions in the fans. 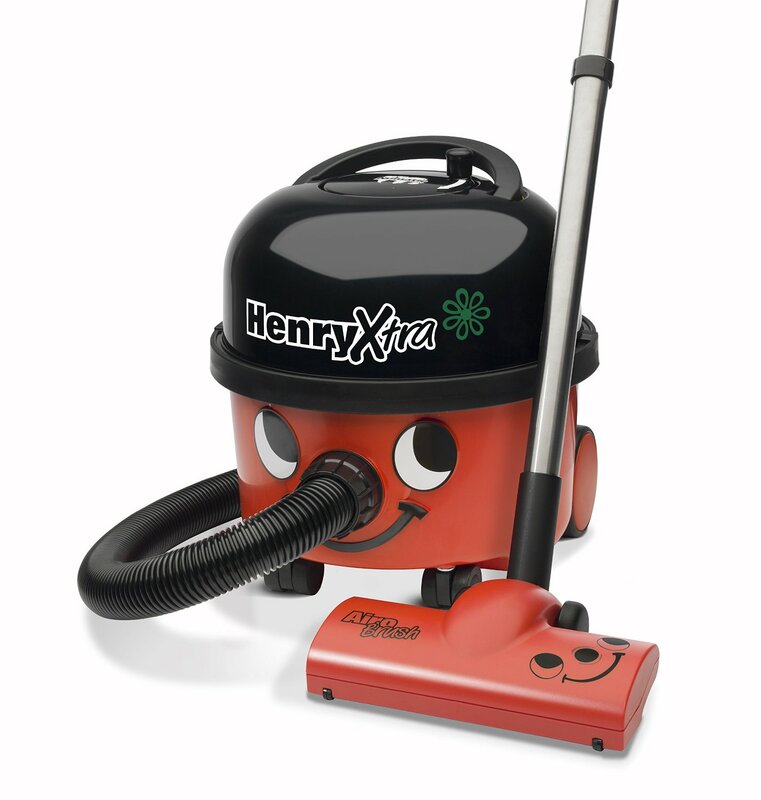 With the TriTex filter fixed inside the machine, Henry’s retain maximum suction, so cleaning is never compromised. With this machine comes a pack of useful tools for effective vacuuming; in anywhere from a small apartment or large family home, to corporate or school buildings. The tool kit includes 2 extension tubes and a variety of adaptable hose ends for every cleaning need. Whether it’s time for a quick ‘once over’ or a full spring clean, the accessories provided with this machine more than enough to get the job done thoroughly and with ease. Hidden within the vacuum cleaner is an empty space for storing the machine’s extra long 10 metre cable – providing yet another way to stay clean and tidy. The 2 extension tubes included are the perfect length for getting to those niggly out of reach areas. Using the crevice tool makes vacuuming around skirting boards, underneath furniture and into corners a piece of cake! For lots of extra reach and a world of cleaning flexibility, try out the conical hose for size. The bendy extension adds almost 2.5 metres of extra length to the basic tube, offering more reach when cleaners need to go a little bit further than the length of the vacuum’s standard extension cord. 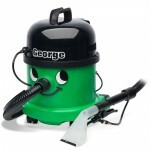 For every vacuuming chore, there’s a Henry vacuum attachment to do it well. For quick, effective vacuuming of floor surfaces, use the combination floor tool. The long rectangular attachment can be used on hard floors as well as carpets, so it’s a breeze to move between rooms, up the stairs and across surfaces in one clean swoop. To include soft furnishings and delicate surfaces in a cleaning round, simply swap to an upholstery tool. The upholstery nozzle can be used with or without the detachable brush. Move the long, flat tool along sofas, curtains and cushions to remove dirt and dust. For very delicate pieces of home décor or upholstery, simply slide on the upholstery nozzle brush and the soft bristles will protect the furniture during cleaning. Thanks to each of the tools and attachments that come with a Henry purchase, small areas and larger spaces can be left spick and span in no time. Read the full review for this machine. The second vacuum to be produced by Numatic, Hetty is the female version of the Henry and is the most similar out of all of the siblings. With a female persona made up of a pink coloured body and long eye lashes, she offers fans of the original machine a variation on the comical and cheeky appearance. Under the bonnet is the same technology that makes up the Henry, with Twinflo motors creating just as much suction power. 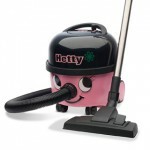 The only real difference between the Henry and Hetty is the exterior appearance. As younger brother to Henry, Harry is another male version of the family, with a striking green appearance. However, what makes this vacuum unique is that it has been specifically designed for dealing with pet hair, with a Hairobrush and carbon filter to even remove pet odours. So if you’ve got a cat or dog and are fed up with how long it takes you to pick up their hairs from the carpet, the Harry is for you. Read the full review for the Harry here. The main distinguishing feature of the James vacuum, apart from its sunshine yellow appearance, is the handy caddy top, which allows you to store your cable, the various tools including duster and even some polish, in a place that is easy to access. Furthermore, the large HEPA filter helps to reduce allergens, which is great news for those who often find themselves sneezing while they vacuum around their homes! There is also a combination floor tool that makes this vacuum suitable for both carpets and hard floors. 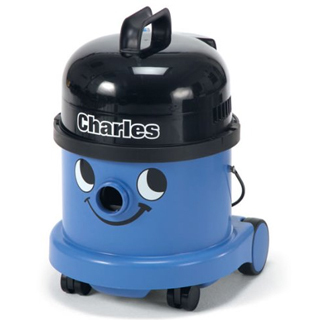 Charles is both a wet and dry vacuum cleaner, capable of tackling damp or even sodden surfaces with ease, thanks to its 1200w two stage motor. It comes with a smartly designed combination floor nozzle that makes it suitable for both carpets and hard floors, as well as a safety float valve and Tritex filtration system. 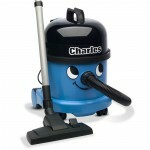 For the best of both worlds, this little blue vacuum ticks all the boxes. Read our full review of the Charles here. This 3 in 1 vacuum cleaner offers a host of cleaning options including vacuuming in both dry and wet conditions, scrubbing and drying of hard floors and even the ability to clean upholstery and carpets. With a smiling green face and Powerflo pump, Tritex filtration, safety float valve and large wet and dry capacity, this vacuum cleaner really has it all and is ideal for those who want a machine that will perform just about every cleaning task under the sun. Check for where you can buy here. If you are interested in cleaning tips and tricks, as well as discussion relating to cleaning and the Henry in general then you will find our cleaning blog very interesting. We cover a range of topics and encourage you to join in with the discussion by leaving your comments. 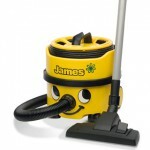 Where can you buy a cheap Henry Vacuum? 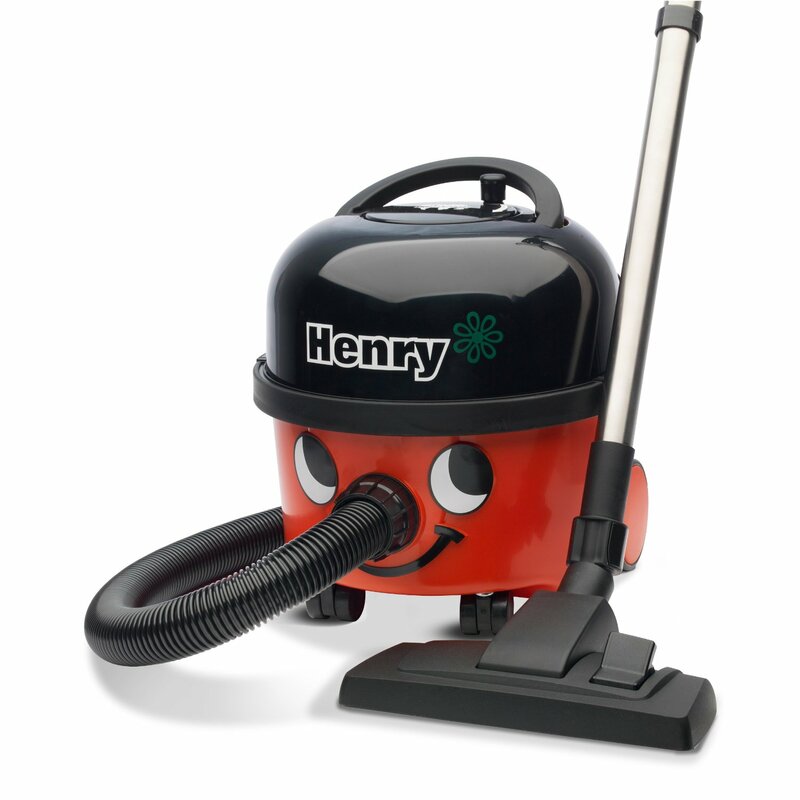 Head over to our shop to find out where the cheapest place to buy the Henry vacuum range currently is.